You deserve the home of your dreams. From historical restorations to modern renovations, we bring great dreams to life. Transform your ordinary kitchen into an extraordinary gathering place. Is your kitchen cramping your culinary skills? Are you longing for something with more style and substance? Dysfunctional kitchens come in all shapes and sizes, and frequently it is the room that has the highest need for change. Your kitchen should be the heart of your home. If your kitchen suffers from a strange layout, outdated features, inadequate prep space, and inefficient storage; we are here to help. Creasey Construction transforms an entire home when we remodel a kitchen. Building you a new kitchen where form and function are brilliantly balanced, prep space is of plenty, efficiency is enhanced, and the character features are one-of-a-kind; your life at home will change for the better. Our team of kitchen remodeling experts located in Springfield, Illinois works to cultivate the client relationships to inspire a client to make decisions that are informed, innovative, efficient, and accurate according to the life you want to live. If you’re looking to hire one of Springfield’s best kitchen remodeling contractors; you’ve come to the right place. 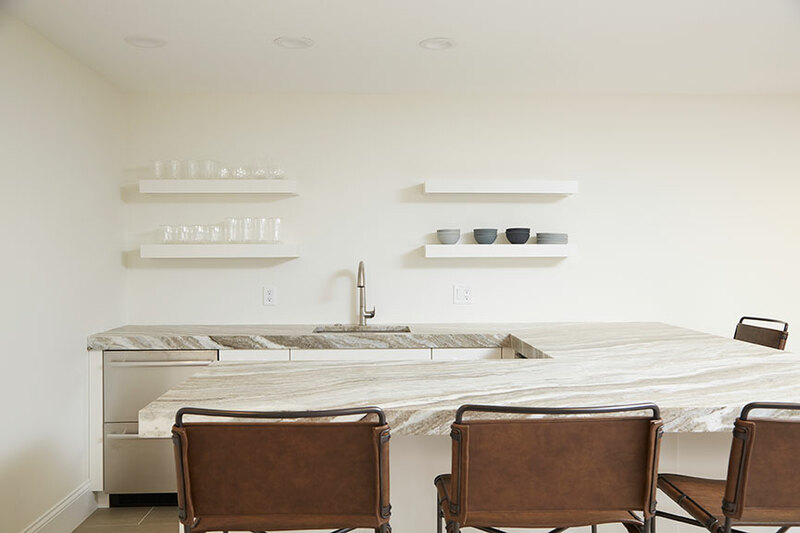 Contact Creasey Construction (hyperlink to contact page) today, and one of skilled craftsmen will schedule a time to view your space, listen to understand your personal needs, and begin developing a plan to make your dream kitchen become a reality. Looking to achieve the perfect balance between your dreams and your budget? We build well-planned restroom retreats where you sure to experience the ultimate state of Zen. Whether your bathroom remodeling project calls for modest updates, period style precision to fully restore a tired space to its former historically accurate glory, or a complete overhaul to make a master bedroom a modern-day marvel; updating the room that gets the most use will undoubtedly introduce new life and utility into your entire home. At Creasey Construction, we combine our highly skilled craftspeople and trusted designer and subcontractor resources with your vision to ensure we are always equipped to successfully execute your bathroom addition or remodeling project with accuracy and ease. 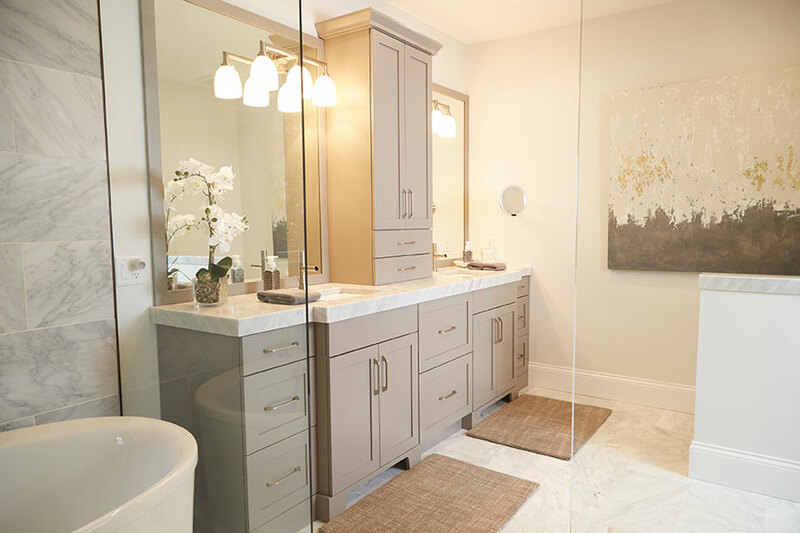 At Creasey Construction, we combined our highly skilled craftspeople and trusted designer and subcontractor resources with your vision to ensure we are always equipped to successfully execute your bathroom addition or remodeling project with accuracy and ease. If you’re seeking to hire a professional residential bathroom remodeling and renovation company –that is known for offering high-quality customer service, attention to detail, and innovative bathroom remodeling solutions—Contact Creasey Construction. No matter how large or small your home improvement project may be; the Creasey team promises to take the best care of you and your home. Undersized house? The answer to your prayers may be right under your nose! Why abandon your abode when you can simply reinvent rooms when you beautify your basement? A basement renovation will improve the quality of your life, the comfort of your living space, and the value of your home. Our expert home construction craftsmen work in unison with Springfield’s best home designers and residential subcontractors to transform a bare basement into a living, working space constructed to fulfill the needs of your family, friends, business, and trends. With nearly 30 years of experience in creating and constructing innovative spaces; Creasey Construction is ready to go above and beyond your expectations. Contact our office today to learn how we can be of service to you. Ready to take the next step in transforming your house into your dream home? Efficiently transforming your house into your dream home requires more than understanding the potential of your home; it requires an understanding of the life you’re living now, and lifestyle you’re seeking to live in the very near future. Creasey Construction completes our share of kitchen and bath remodeling projects, but we’re also well suited for more complex projects including whole home renovations and expansions. We combine our deep understanding of your wants, needs, and desires with our cross-industry experience and knowledge to bring you intelligent and innovative ways to evolve your home from drab to fab. When it comes to remodeling and whole home renovations, we’re more than hired hands or a general contractor – we become your home improvement partner. For nearly 30 years our team has diligently focused on understanding your vision and goals for your home renovation project to order to make sure you are fully satisfied with the solutions, quality, pace, and professionalism of the entire renovation experience; from our first interactions to the final finishing details. If you’re looking to improve the space, face, and taste of your place; contact our team (hyperlink to contact page) of cleaver and creative craftsmen and we’ll look forward to starting your home renovation project soon!